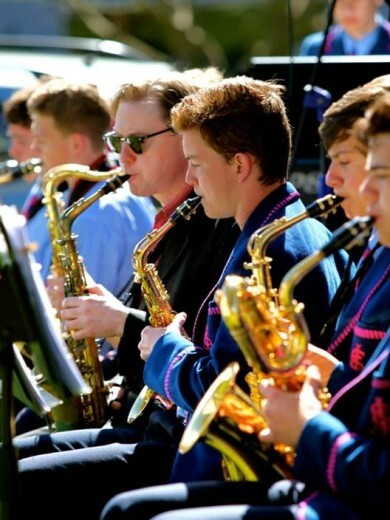 The comprehensive Music program at St Joseph’s College is vibrant, engaging and designed to help boys develop their talents to their full potential. Offering well equipped music studios and expert teachers and tutors, the program provides an opportunity for students of all abilities to cultivate and fine tune their skills and develop a lifelong appreciation for music. The Brother Louis Music Centre comprises more than 40 practice studios, two large rehearsal/teaching rooms, an Apple Mac computer lab with 26 iMac computers, a music library, a mobile recording facility, various storage facilities for student-owned and College-owned instruments, staff common spaces, staff amenities and administrative offices. The rehearsal spaces double as teaching spaces and each is equipped with Prometheum Smartboards, data projector, iMac control computer and 16 channel sound system for playback and recording. These facilities enable the high quality delivery of the NSW Board of Studies Music Syllabi for students from Years 7 to 12. In addition, more than 30 peripatetic staff utilise the centre on a day-to-day basis to provide individualised music instruction to students of the College across a wide range of instruments. All students in Year 7 participate in the compulsory instrumental tuition program and are allocated an instrument for study for the year. Students undertake lessons through the Music Centre with highly qualified contracted tutors. The boys are scheduled individual practise sessions outside of school hours, which are also undertaken in the Music Centre during the evening. Students in Stages 5 and 6 who elect to take Music as an elective subject either as part of the Year 9, Year 10, Music 1 (Preliminary and HSC), Music 2 (Preliminary and HSC) and Music Extension courses OR who wish to pursue music tuition on an instrument or voice on a more casual basis, also have the Music Centre facilities available to them during the course of their Music studies. All students who play musical instruments, (irrespective of whether or not they undertake an elective music course), have the opportunity to be involved in one of the 25 music ensembles at the College. 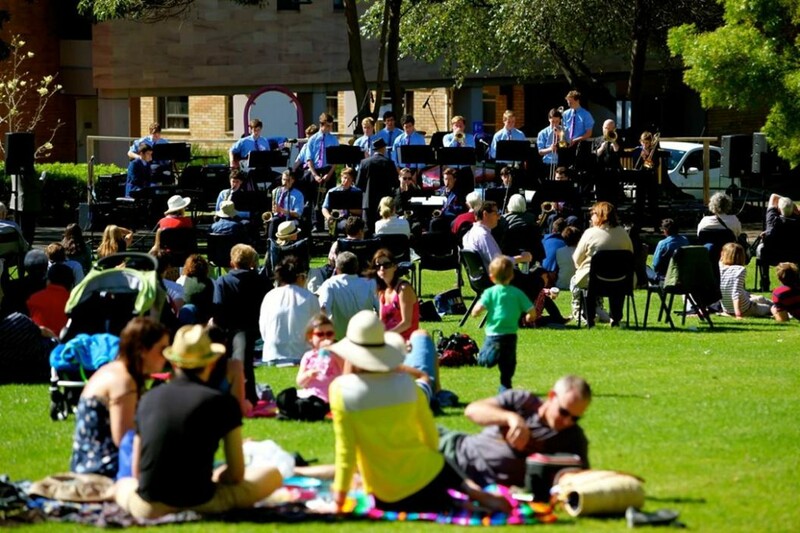 These ensembles perform at College functions and events, competitions, local council civic functions and a variety of venues throughout the Sydney area. Ensembles also have the opportunity to attend workshops, music camps and tours. 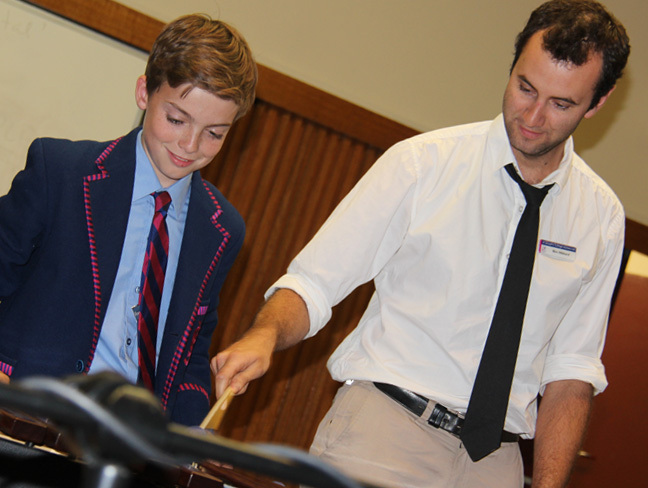 Each year St Joseph’s College offers up to two (2) music scholarships for students entering Year 7 to 10. Each scholarship provides a one half (50 per cent) remission of fees (boarding or day) for up to six years of secondary education at St Joseph’s College. These scholarships are offered to attract new students to the College and are not available to students already attending the College. Successful applicants will receive free music tuition and instrument hire for one instrument. Please note these scholarships will only be awarded when a suitable candidate applies, so may not be awarded every year. For more information see the Scholarships and Bursaries page.